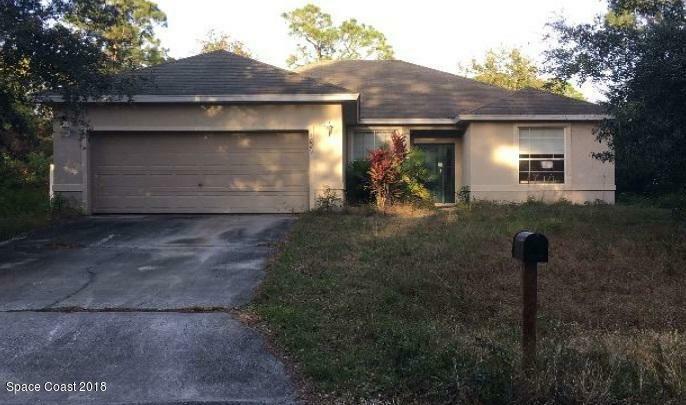 1889 SE Saracen Avenue SE, Palm Bay, FL.| MLS# 835328 | Free Brevard County MLS Home Search. No Agent Needed. Daily Auto-Email Listings of All Brevard County Homes and Listings For Sale That Meets Your Home Buying Criteria. Brevard County Real Estate Market Information. lovely home great for any buyer. This home has 3 bedrooms 2 bathrooms and an attached garage. Split floor plan, spacious open kitchen with bar, tile and carpet throughout, and volume ceilings. Come take a look today this one will not last.